The 108T Signature Edition shares the same internal architecture as our MD109 tuner. 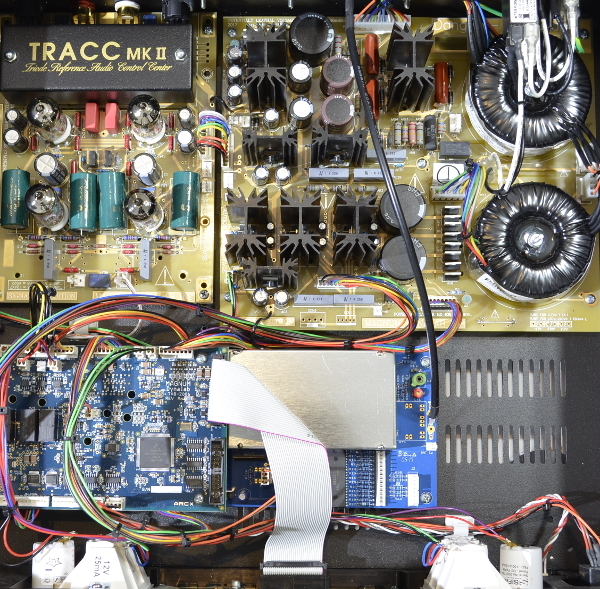 The tuner board is Magnum Dynalab’s best we have ever made, the TRACC MKII audio has been under development for 10 years by Zdenko Zivkovic, it features Teflon By-pass caps, fully balanced output, on board trimmers so tubes can be matched as they are listened to, WBT RCA’s, a brand new tube load and configuration and new Ultra Premium tubes. 100% gold plates traces and contacts on the audio board and power supply.